Send your affectionate wishes and prayers for Raksha Bandhan and beautify them with Unique Thali with Multicolored Rakhi teamed with a free Rakhi, Roli Tilak and Chawal for your dearest ones. Gift your dear brother this amazing Rakhi Thali 7-8 inch. 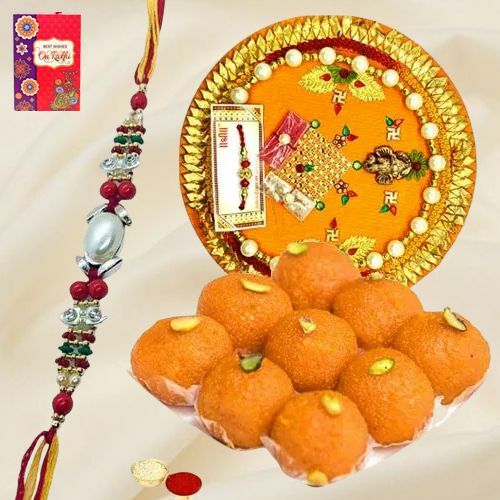 and Haldiram Laddoo 250 gm. and make them feel very special.